on the night of May 16/17 RAF 617 squadron took off to destroy the dams in the Ruhr valley. The raid was considered a success and the Dambusters were born. 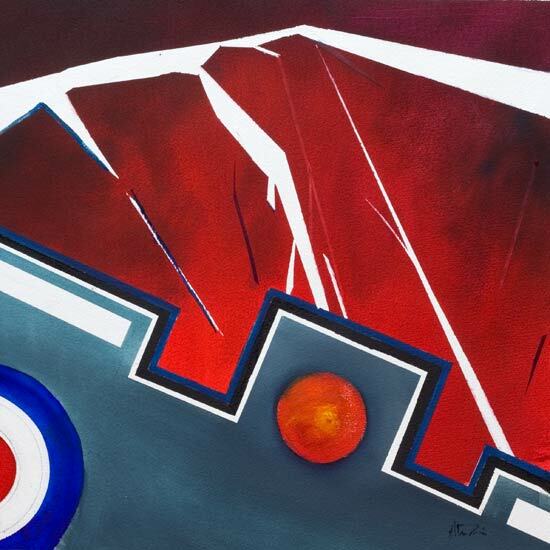 This different abstract aviation war art captures how it may have felt for the bombardier at the time.